Lucy Bushill-Mathews, Head of Strategy, Policy & Research. The session explored the role of Zakat in contemporary Islamic philanthropy and brought together some key viewpoints which Zakat fund managers must come to terms with. Full agenda can be seen here. The event culminated at Mansion House, where the NZF team received the Faith-based Giving award at the Legacy Philanthropy Awards. The First Lady of Turkey, HE Emine Erdogan spoke about the importance of addressing humanitarian challenges around the world with resolve and purpose. 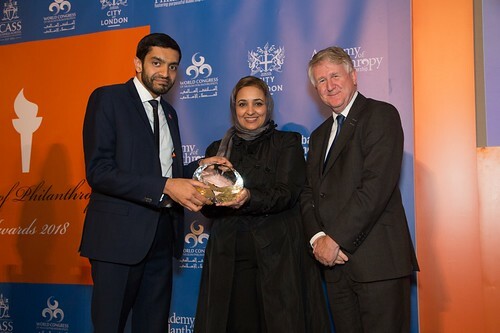 The forum is widely recognised as the premier platform on Muslim Philanthropy worldwide and serves as a marketplace for ideas, a medium for knowledge sharing, a safe space for leading a rational debate on issues unique to the Muslim societies and a launch pad for high-impact collaborative initiatives. NZF are grateful for being co-hosts and look forward to taking our collaboration further for many years to come.